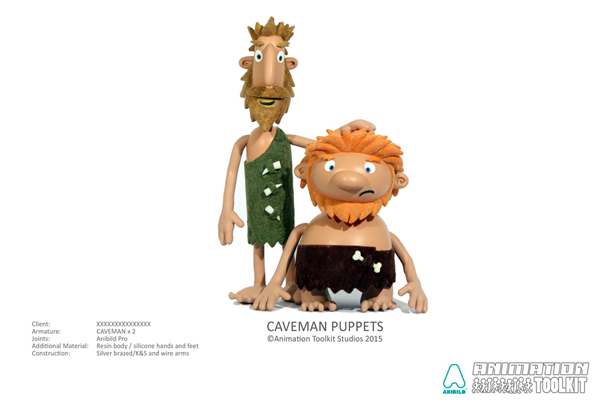 At Animation Toolkit we offer a professional armature design and construction service and can manufacture bespoke armatures from your drawings. 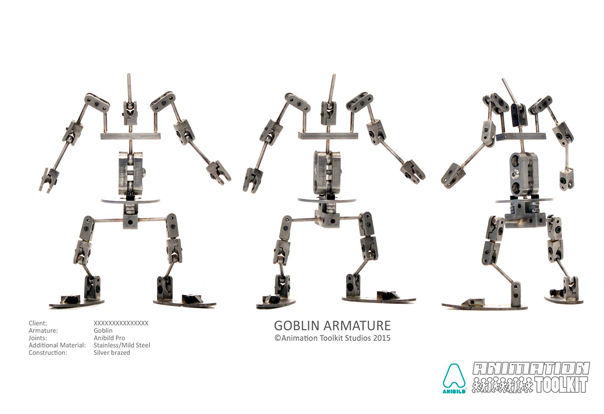 We have a rich history in producing armatures for Film and TV and our engineers/puppet fabricators extensive experience in working in the stop-motion industry. We can build armatures from our range of parts and joints, from a simple wire armature to a detailed ball joint armature. We can manufacture bespoke parts (from feet to cheek paddles) and advise on silicone or foam-baking processes. If you email us a simple outline drawing of your character(s) we can design an armature to suit your puppets needs. After your approval, armatures usually take a week to fabricate depending on our work load. We can make up wire armatures for a relatively small cost but ball joint armatures start from around £249 depending on the specification of the joints and parts.